What defines a flush album? Pages are true photographic prints or giclee (fine pigment prints), not offset or digital prints on traditional paper; pages are stiff and usually backed with bookboard. Design is “magazine” or “coffee table book” style, using the full page with full freedom to have images that span two pages, color and pattern in backgrounds, and any image arrangement. Covers are usually fabric, faux leather/vegan leather, or leather. Luxurious cover materials and cover design options, including stripes and multiple photo insets, as well as metal, acrylic, canvas covers. Pages are lay-flat and accommodate photos that cross that fill the whole spread. 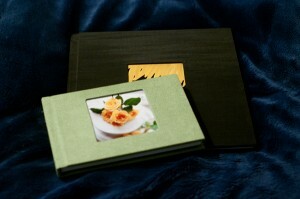 Turnaround is 6-8 weeks from design approval; a large (10×10) 20 page wedding album begins at $550. Cover materials include faux leather and various fabrics; cover design options include a contrasting spine stripe and metalprint front plate. Turnaround is 1-2 weeks from design approval; a large (10×10) 20 page wedding album (not including design) begins at $420. 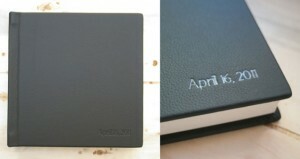 Cover materials include vegan leather and various fabrics; cover design option limited for 4×4 inset photo. Lay-flat pages, with a creased (seamless) gutter. There is no bookboard between pages, resulting in a page that is not completely stiff. 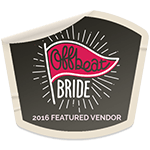 Turnaround is 3-5 weeks from design approval; a large (10×10) 20 page wedding album (not including design) begins at $210. Cover materials include faux leather, various fabrics and real leather; cover design options include a contrasting spine stripe and inset photo. Pages are backed by thick bookboard, with a small visible bookboard edge surrounding each page and at the gutter (page separation), which is up to 10 mm. These albums are assembled in my studio, and can be upgraded to giclee pages also printed in-studio for albums for boudoir or for those concerned with privacy. Turnaround is 3-5 weeks from design approval; a large (10×10) 20 page wedding album (not including design) begins at $385.